How to show Bookmark or Search Panel on the right? 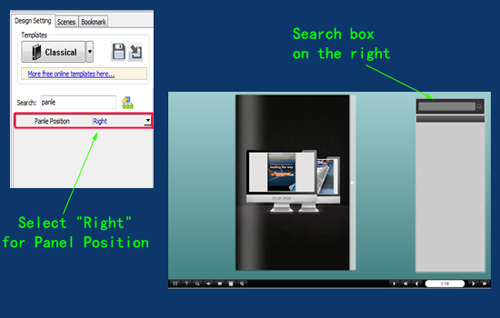 Can I put the bookmark and search panel on the right side of the flash flip book? 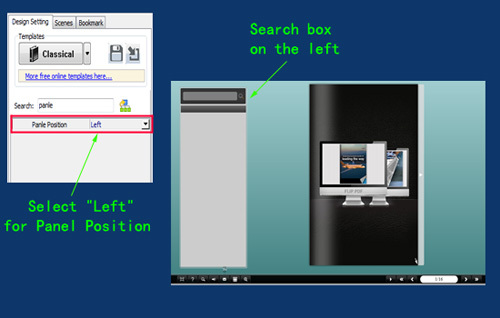 When you use A-PDF to Flipbook (free download here) to publish page turning book, you can define setting to put bookmark and search panel on the right side. But this is workable in Classical template. 3. Customize the flip book with various configurable settings and output the flip book.